(Newser) – It's a gimme: A fugitive who authorities say evaded capture since 2013 has been arrested after he flagged down a deputy in Louisiana looking for a ride. 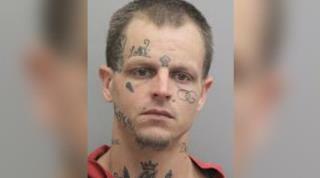 The Lafourche Parish Sheriff's Office says 30-year-old Jansen Simon was walking down Louisiana Highway 182 on Sunday when he flagged down the officer, per the AP. Simon told the deputy he was traveling with his friends, but they had left him on the side of the road. News outlets report the officer verified Simon's identity and took him into custody. In 2013, authorities say Simon struck another man with a hammer during an argument outside a bar, resulting in a fractured skull. give the man a sketch pad! Dang! He's been on the run since 2013. What an idiot, what fugitive flags down a marked law enforcement unit? .....this cat could've gave fake name & d.o.b.